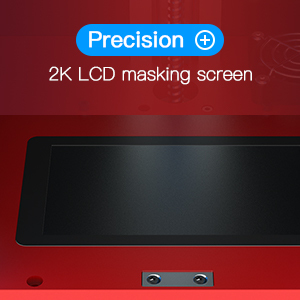 Intelligent: Colorful touch screen equipped with Photon system bring new function.You can pre-view the model in SD card like you saw pictires in Windows OS.Real-time display printing process function is available now. 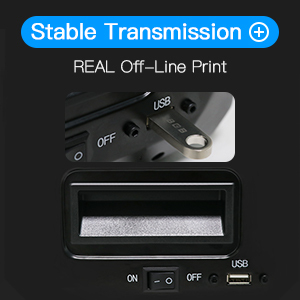 Stable Transmission off-printing in strict sense. 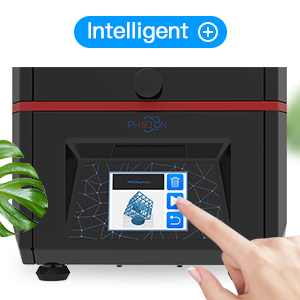 Most DLP printer use raspberry Pi to implement off printing function,which is unstable Photon system designed to support off-printing function originally. 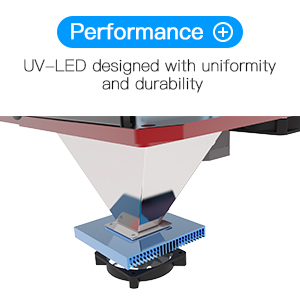 UV-LED designed with uniformity and durability:25W UV light source sit inside stainless steel snoot,equip with 80*80mm heat sink,to offer uniform UV light for long serving time. 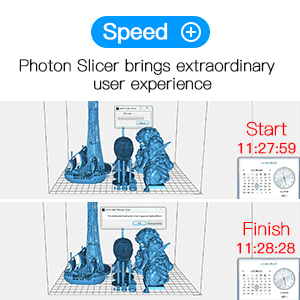 Speed: Photon slicer brings extraordinary using experience. A 30M stl file will minutes when you use a open-source slicer. While photon Slicer will finish this job wthin 1 minutes. 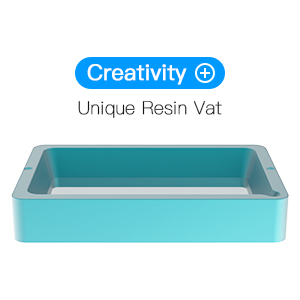 Creative: Developped Resin Vat FEP film is part of maintenance cost in daliy printing. New resin vat was specilly designed for FEP film to adjust the tightness.